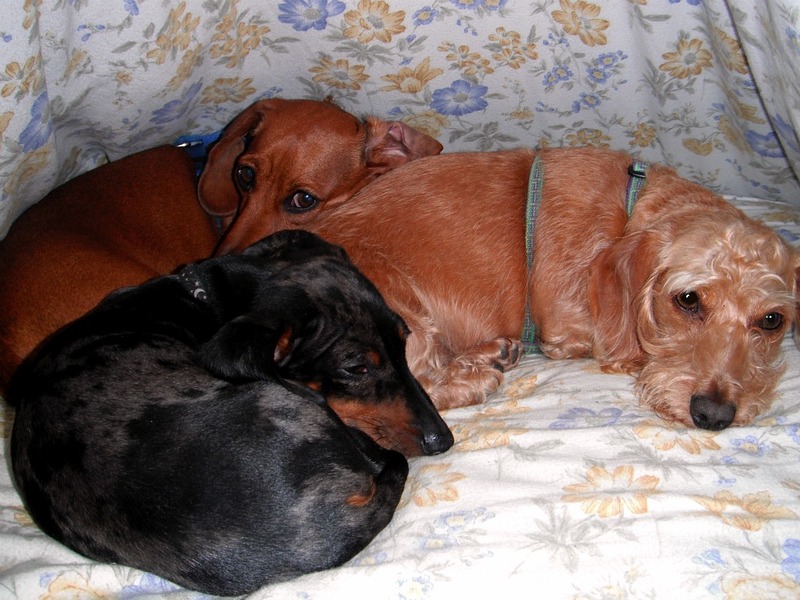 My Three Doxsons: Do You Sleep with Dachshund(s)? 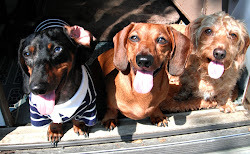 I know a lot of people sleep with their dachshunds. I will admit, I sleep with my three. I have seen quite a bit about other people who do, but I wondered if its as wide-spread as it seems. 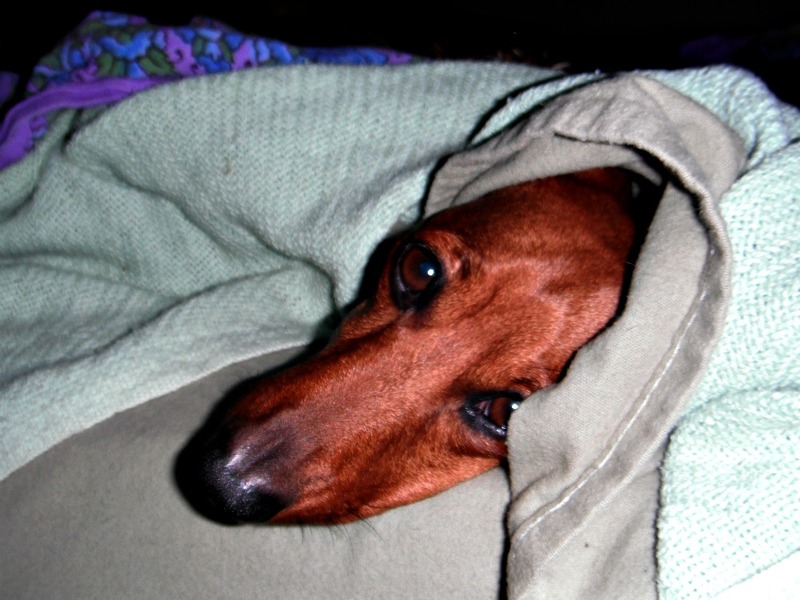 I didn't use to, my first dachshund, Watson slept on the couch at the foot of our bed, he did snore a bit too. Anyway we got my daughter a mini wire hair, she slept with the dog from day one. When she was away, Peaches ended up sleeping with me. Long story short, six years later I now sleep with three, including the Peach. Spaatz is my tummy warmer who often sleeps with his head on my shoulder. Peach will get under the covers by my legs then get back out, come up by my head, go under again, go down by my legs then shortly will get back out and sleep on top of the covers. Happens every night. Fooze will just get in and kinda dissappear, note that if you get up for anything the space you were in will not be there when you get back, so you may have to do a little dog shifting to get back in. One thing for sure you won't be cold, at my house every night is a three dog night. Yes I sleep with my 3. 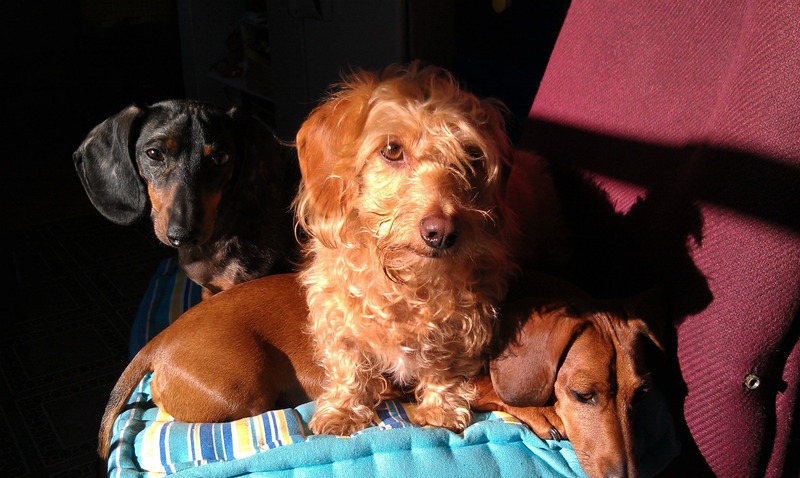 Zoey the foot warmer, Pixel the sheet buncher, and Teddy the shoulder cuddle bug whose face has to be next to mine. And when I get up my spot is gone to all three. Teddy takes the pillow.